A complete List of Restaurants and Best Dining in Islamabad Pakistan with the menu, prices, location, map, address and contact details. 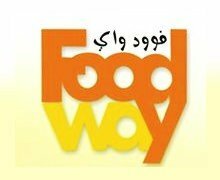 You can also check public and customer reviews here before reserving your Restaurants in Islamabad. In this list, you can find the best restaurants in Islamabad, there are lots of popular restaurants in Islamabad which are best known for their services, seating capacity, hygienic atmosphere. You can also find the best restaurants in Islamabad for your meetings, groups parties, hangout, dates, birthdays, weddings, father's and mother's day, even for your anniversary.